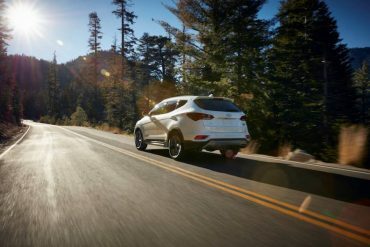 The 2017 Hyundai Santa Fe Sport is a handsome 5-passenger SUV with excellent road manners. 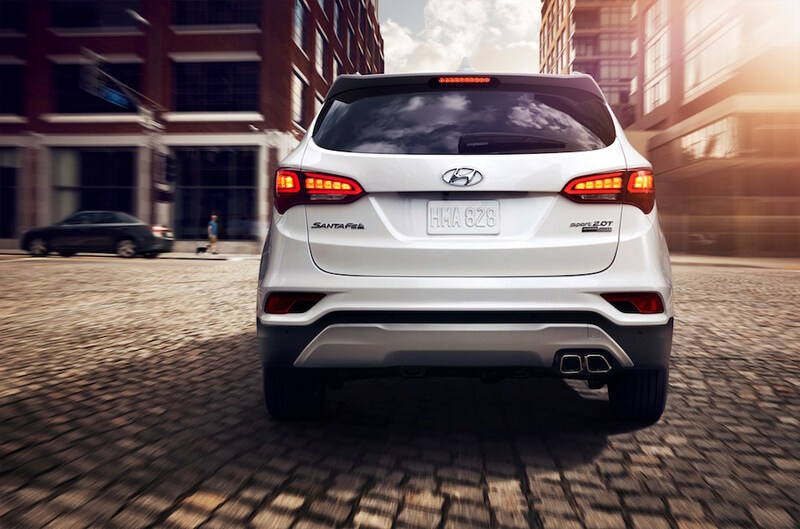 The Santa Fe Sport Ultimate features a power lift gate that easily clears tall people. The Santa Fe Sport is most often found on paved roads, but it’s also quite adept off-road. The Santa Fe Sport (left) is the two-row sibling of the three-row Santa Fe (right). 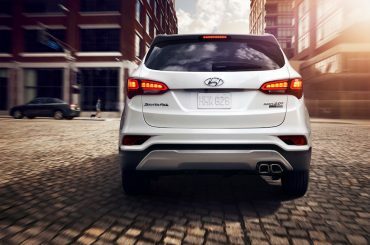 The Hyundai Santa Fe Sport received major upgrades for 2017 including more efficient engines and updated styling. 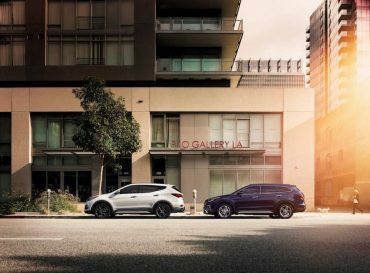 The Sport is the five-passenger sibling of the three-row Santa Fe. The Sport offers an excellent mix of interior space and exterior nimbleness. 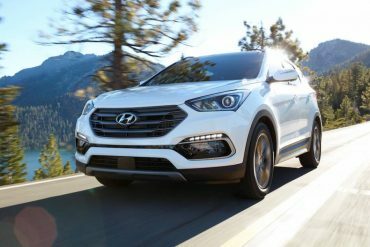 The top-of-the-line Santa Fe Sport Ultimate is aptly named as the interior is on par with many higher priced sport utilities.